On Sunday, May 19th, Master Chef Tim Chang will instruct 20 special guests for an exceptional cooking experience while guests enjoy the delicious wines of INTERCOASTAL VINEYARDS! Learn cooking techniques and knife skills as well as chef inspired creations for preparing this artistically inspired cuisine! Did you know that June 8th is Best Friend's day AND Rosé day?! Whether it is your first class or you are a practicing Yogi...Embrace Every Moment with us in the Vineyard! Certified Yoga instructor Angela Chang will lead this memorable one hour class. We will toast to the day with a glass of Rosé and enjoy a light lunch to celebrate! Namaste! Join Us in the Vineyard! Elevate your wine experience! 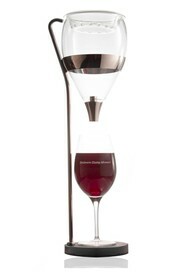 This fun and exciting Danish designed aerator makes the perfect gift for the wine enthusiast in your life! Add an extra flair to your social event as guests are served that special bottle of wine! Made of borosilicate glass & stainless steel, the slate base is engraved with INTERCOASTAL Vineyards logo and slogan "Embrace Every Moment." 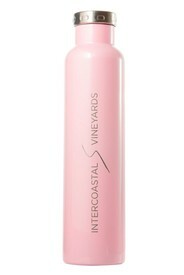 Engraved with the INTERCOASTAL VINEYARDS logo on one side and Embrace Every Moment slogan on the other, this double-wall, vacuum insulated container holds a full bottle of wine! 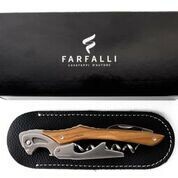 Produced in Italy, the Prestige Olive Wood Corkscrew is double hinged and built to last! 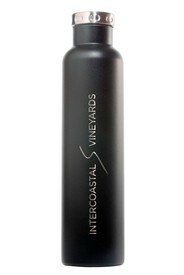 The steel lever is engraved with the INTERCOASTAL VINEYARDS logo and presented in a gift box with an Italian black leather case. Produced in Italy, the Prestige Dark Horn Corkscrew is double hinged and built to last a lifetime! Presented in a gift box with an Italian leather case, this special corkscrew makes the perfect gift! Layers of colorful wood line the handle of this one of kind, Italian-made corkscrew! The stainless steel double lever is engraved with the INTERCOASTAL VINEYARDS logo and packaged in a beautiful Italian black leather case, making it the perfect gift for any occasion! 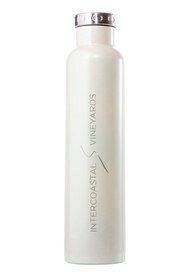 The INTERCOASTAL Double Axis Corkscrew will help to open your favorite bottle of wine with ease! Made in Italy, this special corkscrew is designed with the INTERCOASTAL VINEYARDS logo on one side and Embrace Every Moment on the other! Salute!